Chapel Violins is both a workshop and a school. It’s been a great place to relearn many skills ( like sharpening) and a great environment where there is free exchange of ideas and techniques. We and in the shop for 4 days a week I’ve been giving myself homework on at least one of my days off. I’m at the stage of deciding direction of grain, appearance, and how the various colours match up to each other, and of course how all of this will affect the colours of sound. Let’s have a closer look at the wood. I wanted wood that was air dried and cut on the quarter, sawn or hand split, the ends sealed with wax, and finally as old as I could find. Wood cut since about 1890 will usually have been kiln dried and slab cut. This means that the wood is more susceptible to twisting and splitting. Something, of course you do not want to happen to your violin. Kiln dried wood will also lose some of the natural colours of the wood. Wood cut on the quarter means you cut the wood following the natural grain of the wood. Less chance of the wood twisting or splitting especially if you also seal the ends with wax and allow the wood to slowly release the trapped internal moisture. Of course, wood will always be absorbing and releasing moisture so even after you buy your violin you must be careful to regulate its environment for the health of your violin. 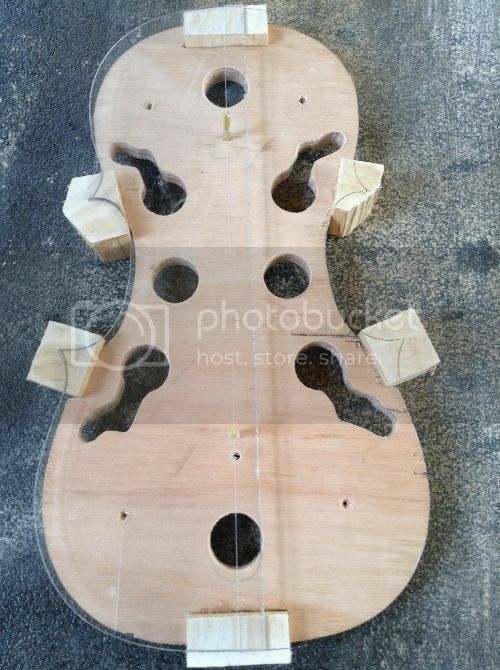 I’ll be using well-figured maple for the neck, ribs, and back which has been cut on the quarter, cut from the same tree, its ends sealed with wax, and its estimated age is more than 120 years old. Very special and rare wood. For the top, I’ll be using Spruce, cut on the quarter, its ends sealed with wax, and with an estimated age of at least 110 years old. 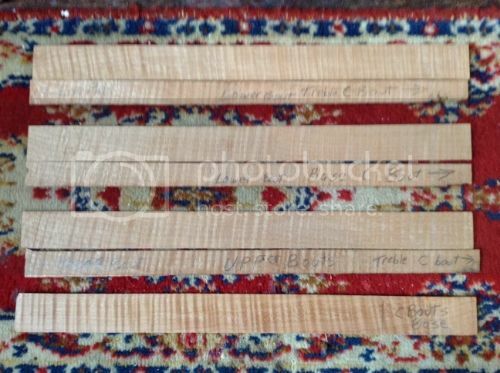 Nicola Amati often used willow for his corner and end blocks. Nice straight grain and few knots. John had a nice piece of willow sot this is what I’ll be using. First I’ll have to cut it to close to the dimensions I want, and then square it up. If you look closely at the photograph you’ll see how I’ve orientated the grain so that the corners will have the maximum strength possible. Once glued into place, I’ve traced the inner template onto the blocks on both sides of the blocks. 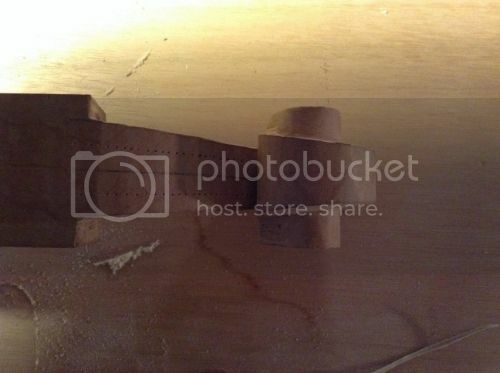 I’ll need to wait till tomorrow before I can begin cutting the inside curves of the C bouts. When carving out this shape I’ll need to imagine the curve extends further than the actual line. 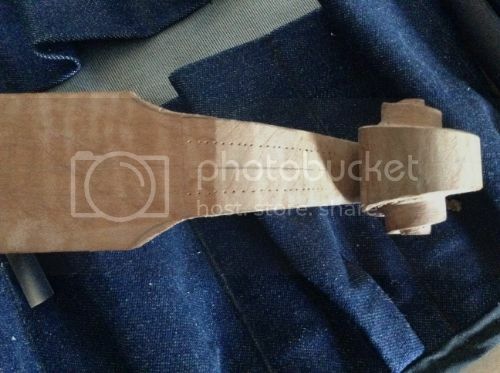 This little tip will mean that the C bouts will appear to continue beyond the violin once it is finished. Nice affect. I had wanted to have one rib for the lower bout just as Nicola used but considering I’m using 120 year old wood from the same tree as the back and neck-you can’t have everything but I got close. The finished thichness needs to be 1.1 mm thick so I’ve set the bandsaw to 2 mm. 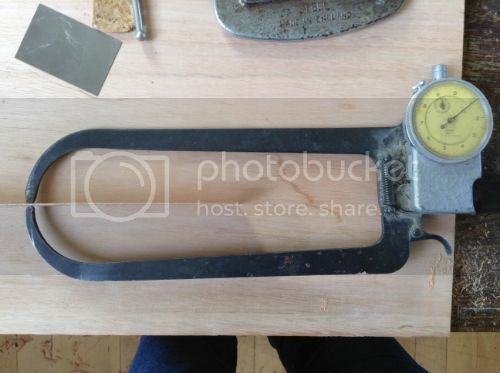 I’ll be using a low angled block plane to bring the ribs down to 1.2/3 mm and then use a scaper to trim any small tear outs and leave a nice even surface. When using the block plane, on well figured wood, I need to remember to angle my cuts because this will mean less chance of tear out and then making a new rib. I’ll be putting the ribs aside since the glue pot and heating iron will be in use for awhile. Before I draw on my templates to the neck I need to look at the ends (or end grain) of the neck to look for the direction or orientation of tiny white flakes called medial rays. These are cells (or rays) which radiate from the centre of the tree and provides part of the strength of the wood. 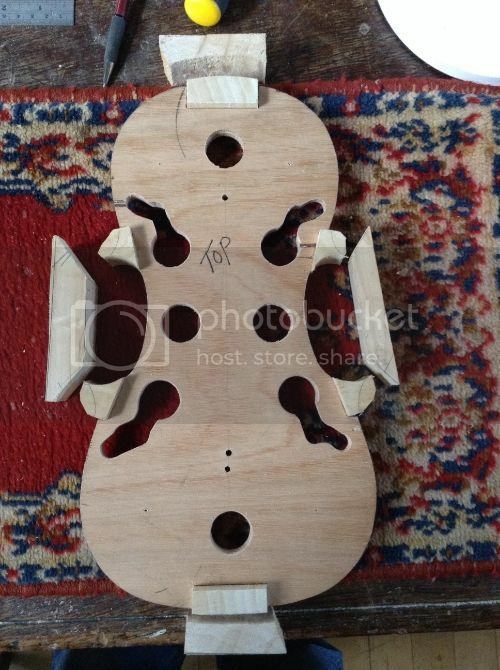 I want to be sure that where the neck will be attached to the body of the violin that these medial rays are as straight as possible and running from the back of the violin to the top. Now I’ll true up the top edge and then the side to the top of the neck block. I don’t have to warry about the bottom as this will be cut off. Once the three sides have their templates trace on the general shape will be cut out. Next week I’ll continue working on the scroll and glue on the ribs. Any luck, I’ll be able to start work on the back and top. Have a look at the side of your bridge. Are you able to see the medial rays. Ideally, those rays are straight or at the very least curving towards the back for the greatest possible strength and help with the lifespan of your bridge. 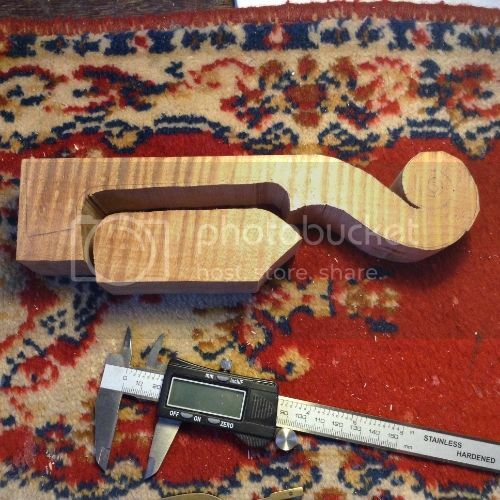 I love reading about violin making because that is something I could never do.